with MAC’s Lucky Red Collection. MAC Cosmetics celebrates the Chinese Lunar New Year with a special limited-edition collection that combines new products with some of its best sellers. 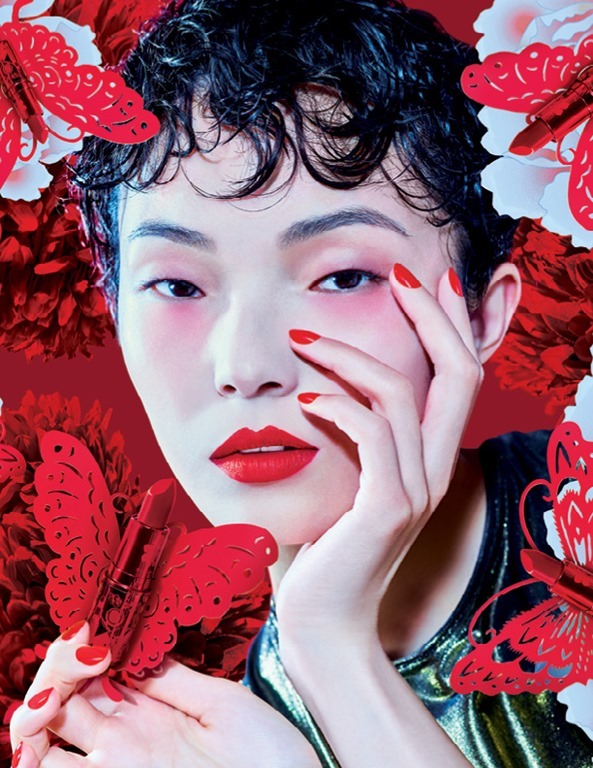 The Lucky Lun Red New Year 2019 makeup collection is available from now but for six weeks only. 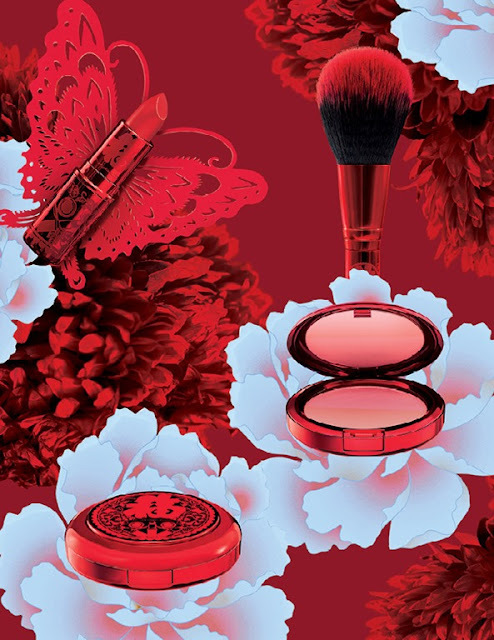 The charismatic capsule brings five beautiful lipsticks, a powder blush duo, and a festive new edition of the 129S Powder Blush Brush all housed in metallic red cases adorned with a peony flower motif. Peony, the flower of luxury, riches and honour that symbolizes royalty and virtue in Chinese culture and is considered the queen of all flowers in oriental land. 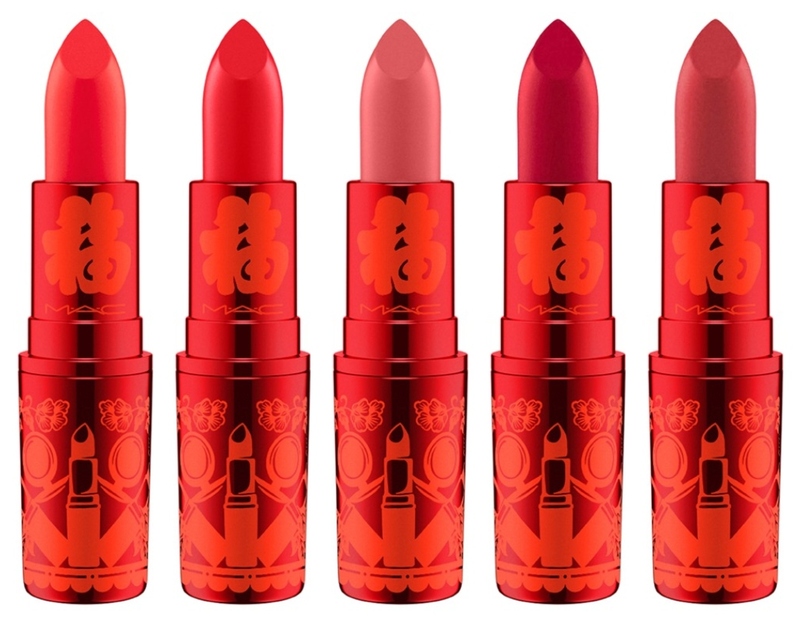 There are three classic colors and two brand new ones: Lotus light, an intense pinky red and Lucky in Love, a mid-toned pinky mauve for those who are not fond of wearing red on their lips. All shades are matte except for Lotus Light which is part of the Amplified range, it is a creamy lipstick with a shiny finish. 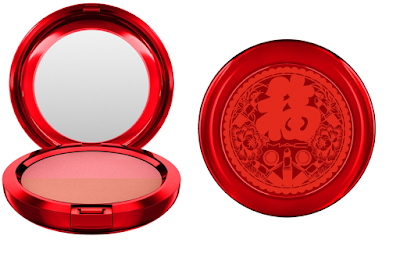 A Powder Blush duo featuring soft coral-peach and bright mid-toned pink shades. Designed by professionals, applies evenly, adheres lightly to skin to achieve natural-looking color. All-purpose for blush or face powder, with soft fibres that form a full, rounded shape. hand-sculpted and assembled using 100% synthetic brushes incorporate the latest innovations in fibre technology for superior performance and improved longevity. 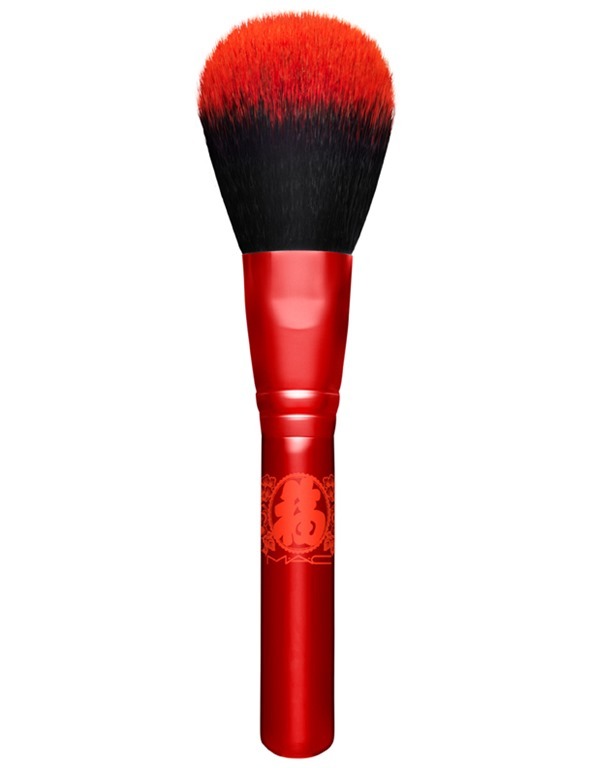 The Lucy Red 129S limited edition brush comes with a shorter handle. 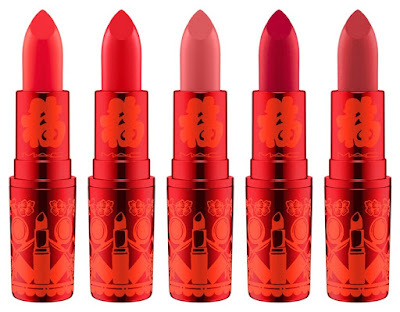 MACLucky Red Collection is available online here for a short time only.